Happy Wiener Dog Wednesday friends. 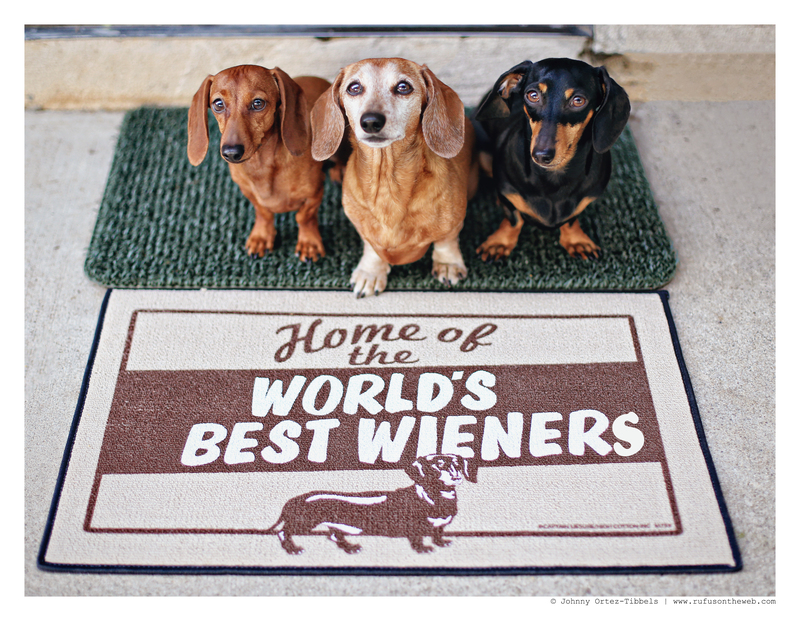 So I’m certain many of us have seen or already own one of the many dachshund themed welcome mats. We personally have held out until today; but we’re now officially part of the hot dog welcome mat club. 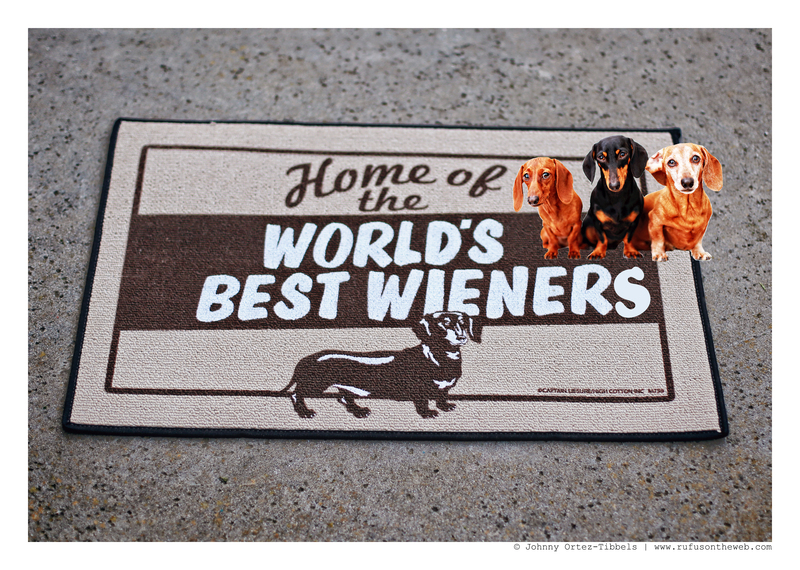 Of course, as the human of multiple dachshunds, I needed to photoshop the mat to be accurate. What do you think dachshund friends?! This entry was posted in Emily, Lily, Rufus and tagged #ADachshundsLife #HappyHounds, #black and tan dachshund, #dachshund, #FunDachshundMerchandise, #red dachshund, #smooth dachshund, #WienerDogs #HotDogs, doxies. Bookmark the permalink. Love the mat, love the pics! I’m prettty sure this type of editing is manditory, at least that’s what my wieners(Greta Garbo and Gary Cooper) tell me. LOVE the moxie welcome mat!! Who wouldn’t want to be welcomed by that?? And by Rufus, Emily & Lily! where did you get the mat?? it is PERFECT!! Oh yes love the welcome mat!